Charles Andrew (“Drew”) Dimmel passed away peacefully on January 21, 2017, surrounded by his loving family. Drew’s love of family, friends, his church and his community was infinite, his heart was humble and his capacity to give was boundless. He always smiled, shared a kind word and inspired confidence in others. Drew was an extraordinary spirit who will live in our hearts forever. Drew was born June 1, 1948, to Charles and Virginia Dimmel. At age 14, Drew and his brother Doug started a musical group, The Classmen. Drew graduated from Van Horn High School and from the UMKC Conservatory of Music. Drew met the love of his life, Jane Phelps, and they married in 1974. 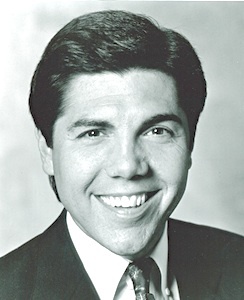 In 1979, Drew began a 30-year career as a local and national voice-over talent. Drew was diagnosed with Parkinson’s disease in 2001 and became president of the local Parkinson Foundation, and was a dedicated volunteer as the face of Parkinson’s disease in Kansas City. Drew is survived by his wife Jane; son, Michael (Anita); son, Tommy (partner Cindy Diaz); mother, Virginia; brother, Doug( Liz), sister, Suzanne (Roger Lumley), his granddaughter, Isabelle, and a large, loving extended family. In lieu of flowers, Drew’s family has requested contributions in his honor to the National Parkinson Foundation-Heartland, Grace United Methodist Church, Olathe, Kansas and the Kansas City Hospice House. Our family is so grateful to their staff, who cared so compassionately for Drew.